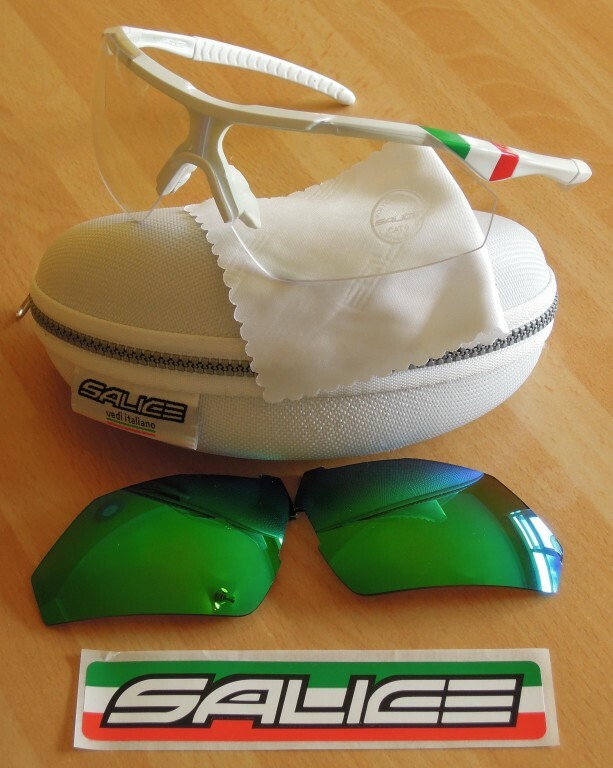 If you’ve been following cycling on Eurosport over the last few years you will probably remember the Salice sunglasses advert and how they played on their Italian heritage. The latest matching Bolt ITA helmet and 004 sunglasses shout this the loudest and we’re happy to say they don’t just look the part but perform flawlessly as well. Salice are Italian through and through and are so affectionate about their country that the Italian flag option runs through their entire collection. They have been creating sunglasses on the shores of Lake Como for over 90 years and they always will do. Salice is involved with many speed and adrenaline sports which influences designs as they are a blend of high technical specification and great looks. This combination of Italian flair and useful features has given them a loyal following throughout Europe including current men’s world road race champion Rui Costa. In the UK they sponsor the Starley Primal Pro Cycling Team, Pedal Heaven and Twenty3C Focus cycling teams, as well as other athletes from a range of sports, showing their commitment to local and emerging talent as well as the top flight teams. 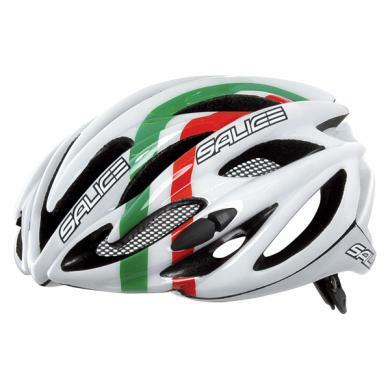 The Bolt is the lighter of the two road Salice helmets and boy does it feel light. At 280g for the smaller size this is up there with the lightweights from the big brands. The 23 vents let plenty of air through and there’s a built in bug mesh on the front half of the helmet. The retention system covers the back and roughly half the sides and is easily adjusted via an easy to use dial at the rear. The straps have had a little more thought put in than normal; they have a tiny mesh centre to allow more breathability and a soft detachable pad underneath the chin strap for more comfort. The overall finish is excellent with no rough edges and the plastic mould wraps around the helmet leaving no exposed foam. The ITA version is available in black or white with the Italian tri colour adding a splash of colour without being overpowering. 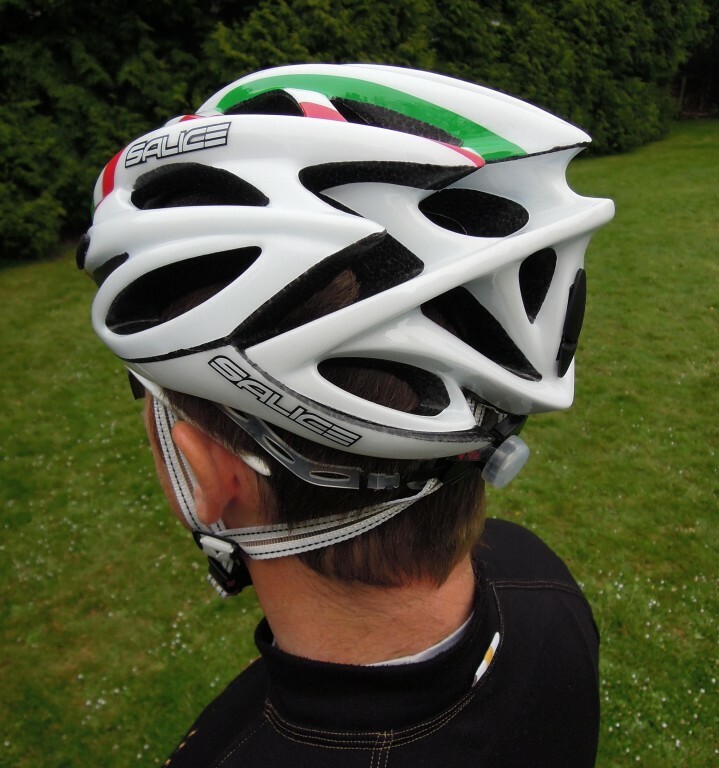 Spare pad kits and matching colour coded visors are also available separately. The first impression is one of lightness but doesn’t feel flimsy. Despite the large number of vents there’s still a good amount of coverage and the helmet feels solid and well made and gives a similar feeling when worn. I was surprised just how comfortable it was; the retention system was very easy to use even on the move and the padding goes all the way round the forehead without feeling bulky. Air flow is excellent and I really like the little bug mesh on the front half. 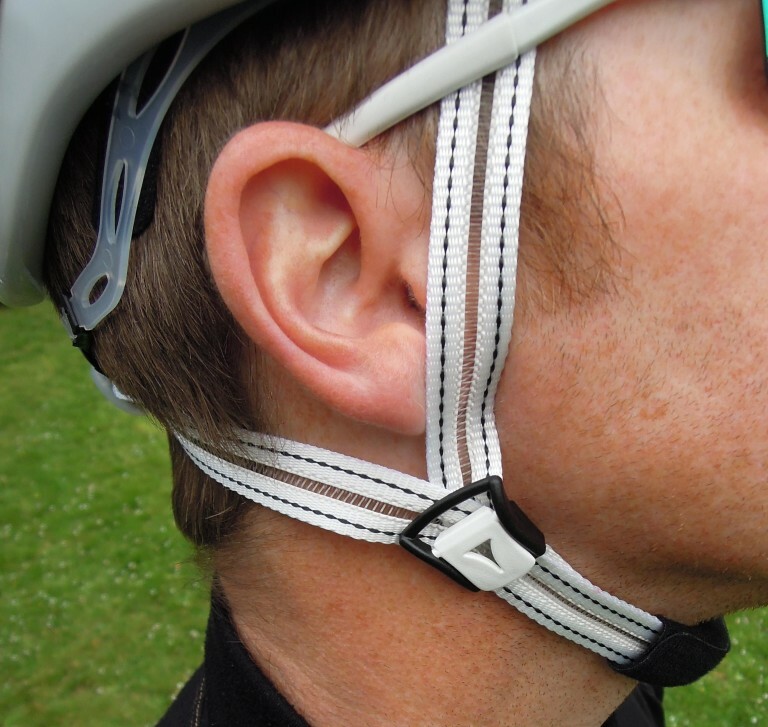 Straps are easy to adjust and the padding on the chin strap adds that extra little bit of comfort. The build quality is impressive with the outer mould wrapping all exposed parts leaving no exposed foam to get damaged. 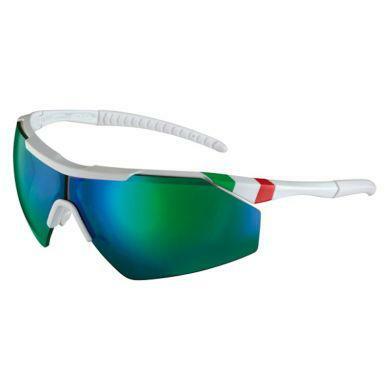 I love the colour scheme, the Italian tricolour is just subtle enough to break up the white (or black) but does mean you’ll probably have to save up for the matching glasses as well. Also no one else in the club has one! The 004 sunglasses are Salice’s super lightweight option more suitable for narrower faces (Merlin cycles stock a wide range of Salice sunglasses to suit all shapes and sizes). This doesn’t mean you have to be small to wear them as most adults will appreciate the more subtle shape. The frame is a strong yet flexible plastic with rubber on the contact points on the nose and ears. The twin lenses are interchangeable and mirrored sets are supplied with a clear set as standard. 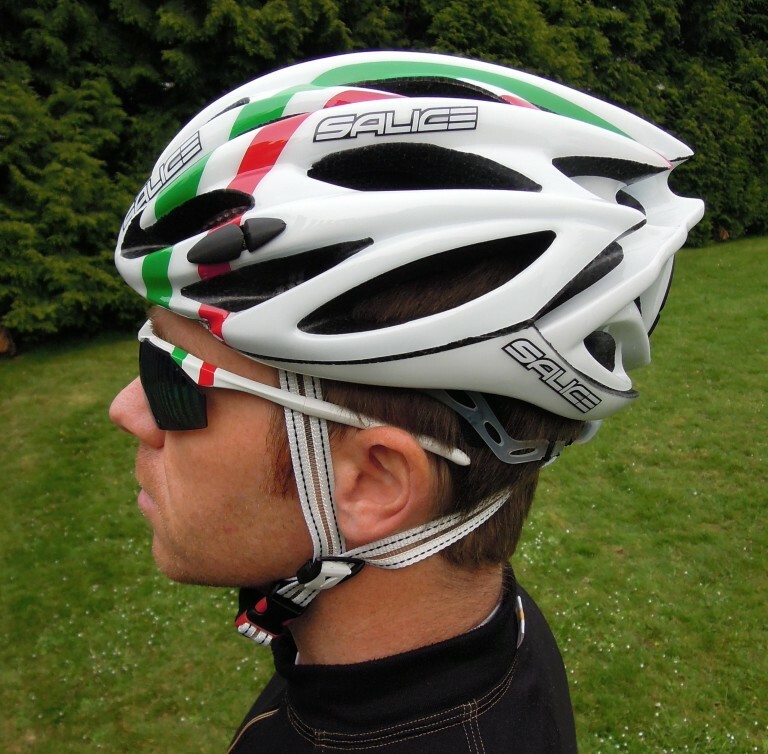 The frame is available in black or white with the obligatory Italian tricolour on the top left and as you guessed is a perfect match for the Bolt ITA helmet. Being Italian they are supplied in a white thermoformed protective case with cleaning cloth so you won’t be mistaken for whose they are. These are some of the lightest sunglasses I have ever used but without feeling flimsy or cheap. Despite the low weight they remained stable thanks to the rubber on the nose and earpieces which didn’t dig in after a while like some can. Eye coverage was very good, no wind comes in even when looking back and they haven’t misted up when on the move either. Lens clarity is perfect with no blurring or distortion round the edges and the centrepiece holding the nose piece was unnoticeable in use. The mirrored lenses have a slightly pink darkened effect but are not overly dark so can be used in the evenings as well. If you’re out late or very early the glasses are supplied with a similar excellent quality clear lens. Changing the lenses for the first time is a bit worrying as you have to push and bend (there’s an excellent diagrammatic run through on the Salice website) but after this it’s easy and the lenses land in place with a reassuring clunk so you know they’re in. The sturdy white carry case is a nice touch as is the Salice branded soft cleaning cloth (and a free sticker!) You’ll also love the fact that these are a perfectly coordinated colour match with the Bolt ITA helmet, that’s more money you could potentially have to spend, but if not then they’re subtle enough to go with and, more importantly, work with any helmet. Although these glasses are better suited for narrower faces, all but the largest of faces will get on with them. When my wife tried them on, narrower face than me, she loved them. If you want probably THE best matching colour ways we know of. A well-fitting light helmet and lightweight interchangeable lens sunglasses excellent for narrower faces (which both perform flawlessly) all for less than the individual price of a pair of top level sunglasses or helmet from one of the big name manufacturers. 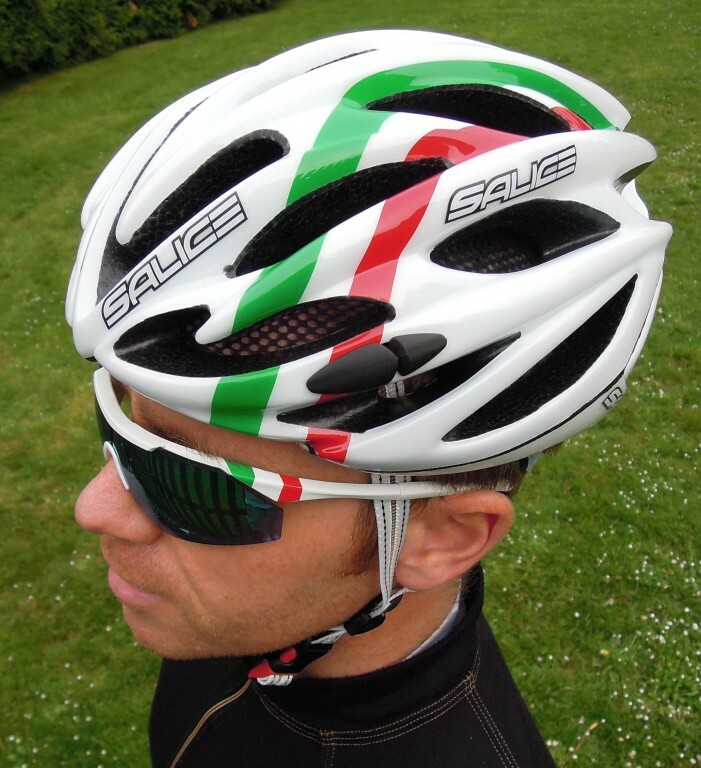 Take a look at our full range of Salice Cycling Helmets and Sunglasses at MerlinCycles.com. Tagged eyewear, glasses, helmet, ita, review, salice. Bookmark the permalink.